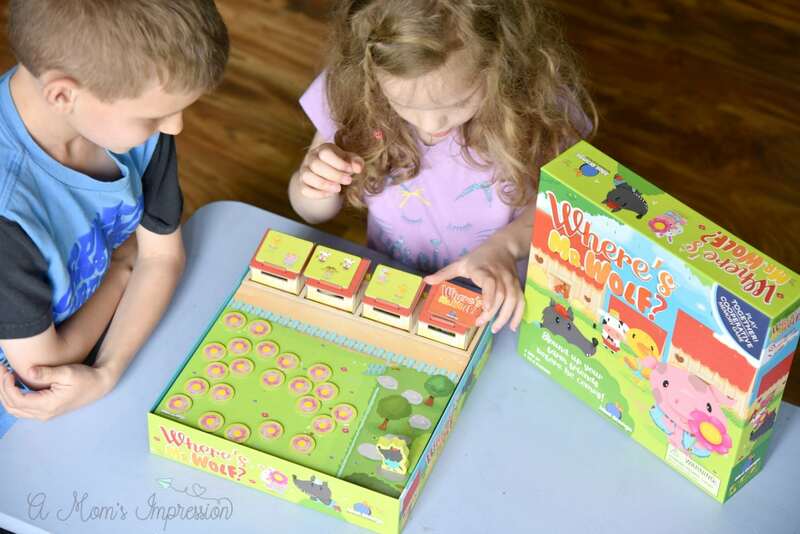 Looking for some amazing Preschool Board Games for your 3, 4, or 5 year old? Here are some educational and cooperative board games your preschool child will love. 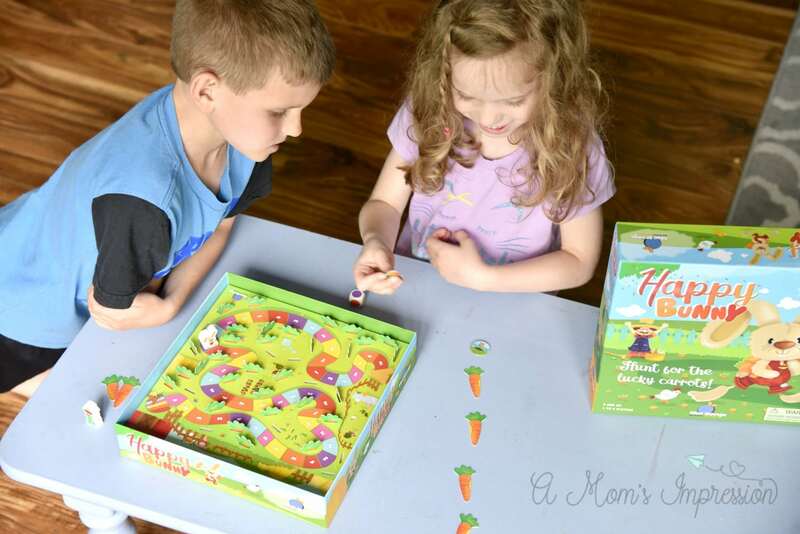 We partnered with Blue Orange Games to share with you these fun preschool board games. Do your kids love playing board games as much as mine do? We have a cupboard full of games and puzzles that have been a lifesaver during the year when it is not ideal weather or if they need a break from playing outside. When I was an early education teacher I had a ton of them to help reinforce topics we were learning in school. My love for a good board game runs deep. 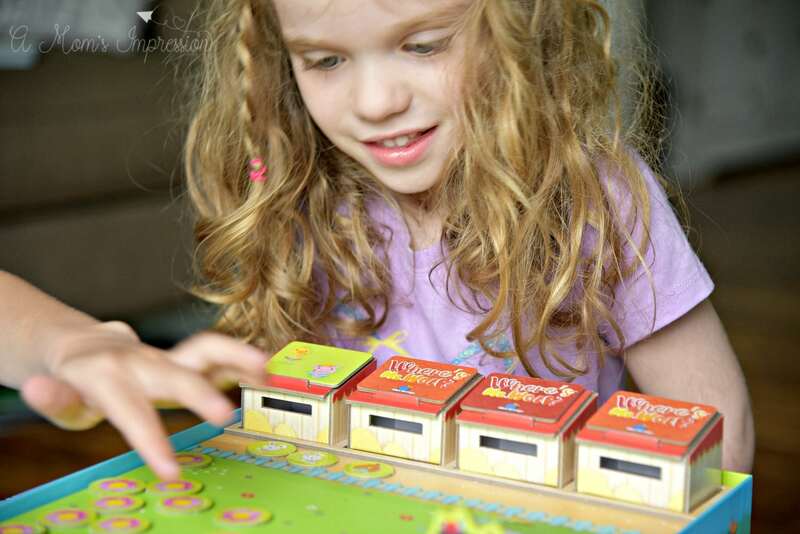 Board games are a great way to introduce early learning skill for preschoolers. Most kids love games and don’t even realize they are learning. Games also give young kids the chance to socialize and build those lifelong social skills that are ever so crucial. When we were asked to try out “Happy Bunny” and Where’s Mr. Wolf” we were all pretty excited. While these are both designed for preschoolers, my kids needed a cooperative game where they have to work together in order to win. You see, both of my kids are competitive and sometimes feelings get hurt when we play games. Cooperative games encourage players to use teamwork rather than working against each other to win the game. They are perfect for siblings who both want to come out on top every time. These games are also good for children, like my son, with shorter attention spans as each game only last about 15 minutes. 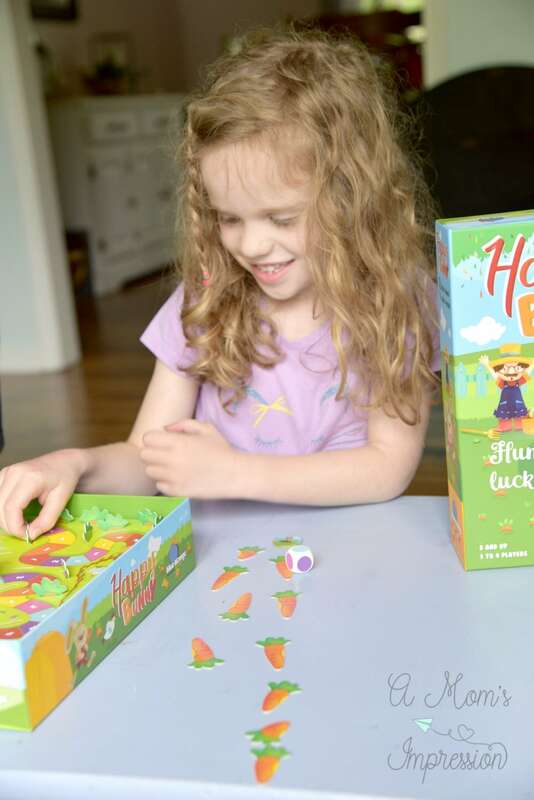 “Happy Bunny” helps players age three and up learn cooperation, math and social play. 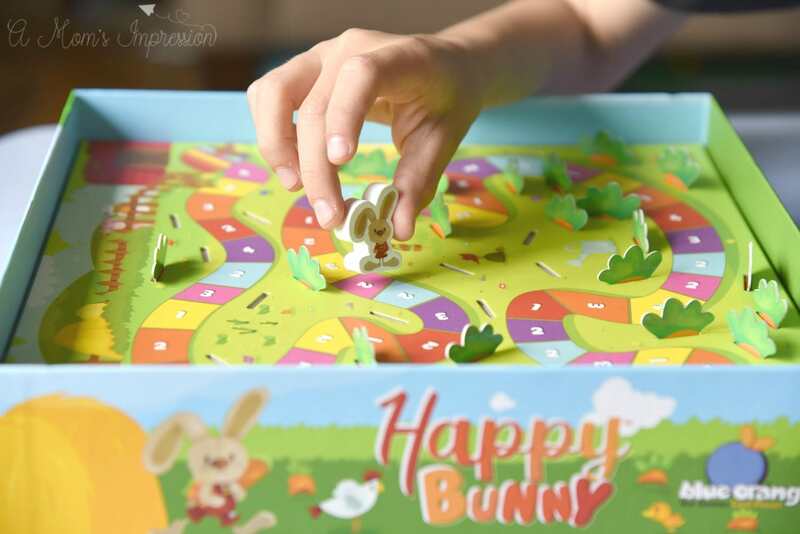 I love the “Happy Bunny” board game! My daughter and I played it several times together. The object of the game is to try and have the bunny collect more carrots than the farmer. The bunny goes around the board and the players pull up carrots. If the carrot has a bite out of it, it belongs to the bunny. The whole carrots go to the farmer. It was pretty easy to set up. All the pieces punched out easily and are of high quality. Caroline loved putting the carrots on the game board. Preschoolers will develop fine motor skills, cooperation skills as well as counting practice. There are two variations to make it harder for older kids. “Where’s Mr. Wolf” helps players age four and up learn cooperation, memory and social play. Both of my kids loved this board game! I loved watching them work together and not bicker back and forth. It was rather peaceful! 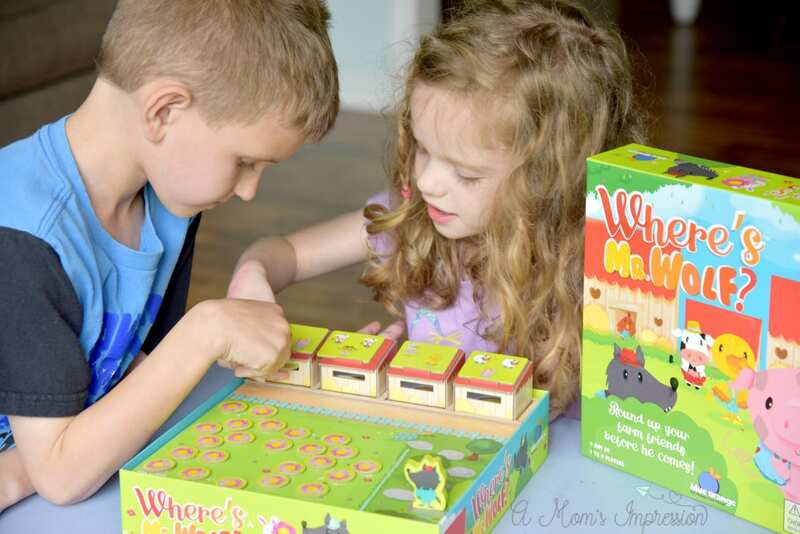 The goal of “Where’s Mr. Wolf,” is for the 1-4 playsers to work together to help the farm animals get back to their barns for the night before Mr. Wolf comes around. Again, this game was easy to assemble and just required me to punch out the game tokens. There are two different game varriations to make the game a little more difficult for older kids, but is great for younger kids as well. My 9 year old even loved playing it! Blue Orange Games is an 18-year-old company well known for publishing award-winning games. Not only do they believe in high-quality games for kids, the company actively works to create partnerships that will directly benefit children while also promoting the value of play, like donating games to schools, libraries and relief organizations. 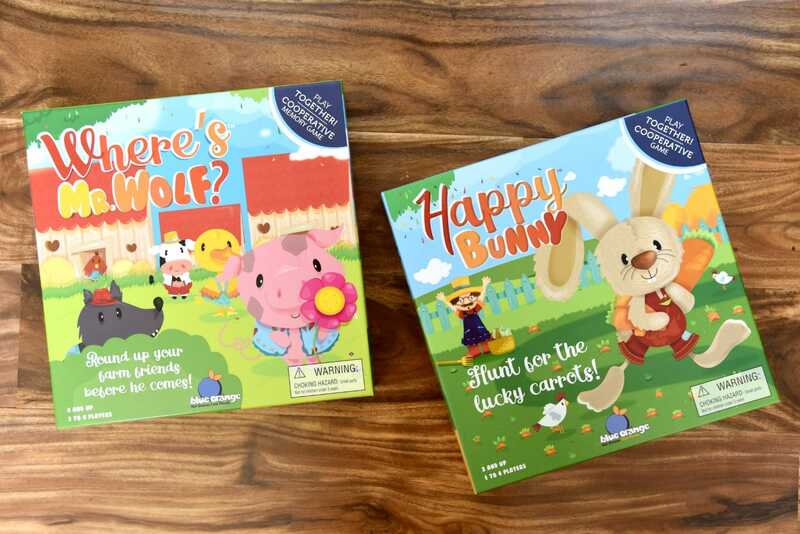 Happy Bunny and Where’s Mr. Wolf can be purchased from Blue Orange Games on their website. Both games retail for $19.99 each. You can stay in touch with Blue Orange Games and get all the latest news on their socials channels Facebook, Twitter, Pinterest, Instagram, and Youtube. This post is part of a sponsored campaign for Blue Orange Games. I received compensation for my participation, but my review and opinions are my own.